PT Bank Danamon Indonesia Tbk - BDI or more popularly called "Bank Danamon" is a reputable private banking company in Indonesia. Bank Danamon was founded in 1956 and originally registered as Bank Kopra Indonesia (Bank Kopra). Later in 1976, Bank Kopra was transformed into Bank Danamon which derived from ‘dana moneter’ or monetary fund. The Bank was listed and first traded its shares on the Stock Exchange on 6 December 1989 , with trading code BDMN. As of 31 December 2015, the majority of Danamon’s shares are owned by Asia Financial (Indonesia) Pte Ltd (67.37%), JPMCB-Franklin Templeton Investment Funds and Public (6.81%) and the remaining is held by the public (25.82%). Bank Danamon is based in Jakarta and now has 1,901 office networks spread across Indonesia. Its office networks include conventional branch offices, micro banking units (Danamon Simpan Pinjam/DSP), syariah units as well as branch offices of its subsidiaries. Bank Danamon now has 3 key subsidiaries, namely Adira Finance, Adira Insurance and Adira Kredit. 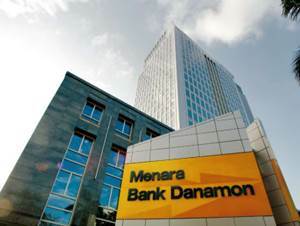 In term of financial performance, Bank Danamon’s total assets in 2015 was down 3.96% at Rp 188,057 billion as compared with Rp 195,821 billion in 2014. The Bank’s net profit in 2015 amounted to Rp 2,469 billion decreased by 7.97% compared to the year 2014 amounted to Rp 2,683 billion. This figures was stated by Bank Danamon in its Annual Report 2015 as cited by JobsCDC.com. Background in Undergraduate Program (S1) or Master Program (S2) from reputable universities. Have an outstanding academic record with minimum GPA 3.00 from 4.00 scale. Highly motivated, result oriented, persistent and resilient person. JobsCDC.com now available on android device. Download now on Google Play here. Please be aware of recruitment fraud. The entire stage of this selection process is free of charge. PT Bank Danamon Indonesia Tbk - Fresh Graduate Executive Leaders Program Danamon June 2016 will never ask for fees or upfront payments for any purposes during the recruitment process such as transportation and accommodation.